The most remarkable surprise in next year’s Boston Symphony season is the appointment of Thomas Adès, the young (born 1973) British composer, pianist, and conductor as the first “Boston Symphony Artistic Partner,” which I think means artist-in-residence with composing and performing responsibilities—it may be a novelty for the BSO, but I salute the idea wholeheartedly. [More on Adès comes at the end of the article]. Several other performers will make significant debut appearances, including pianists, conductors, and singers. The 2016-2017 brochure may be downloaded here. Next season comes complete with exciting prospects and no few surprises, as well some noticeable gaps—no Stravinsky, no Copland, no Second Viennese School. Andris Nelsons kicks things off with a Russian program, including Shostakovitch’s Festive Overture, Prokofiev’s Third Piano Concerto (probably the most popular of all 20th-century works in this genre), and Moussorgsky-Ravel Pictures at an Exhibition. These are all pretty standard, but Nelsons will direct a more generous variety later, including Shostakovitch’s Seventh Symphony (the “Leningrad”) in February, Sixth Symphony in April, and King Lear music in May on the season’s closer. Perhaps my plea last year for a performance of Shostakovitch’s Eighth Symphony, a much better work than either the Sixth or Seventh, might finally come to fruition next year, because Nelsons genuinely seems to love Shostakovich. The February program will include a new Triple Concerto (violin, cello, and bayan) by Sofia Gubaidulina; the April program will be matched up with a curious title, Nostalghia (In Memory of Andrei Tarkovsky) by Toru Takemitsu, and the beloved Tchaikovsky Violin Concerto with Anne-Sophie Mutter; the May program ends with Rachmaninoff’s Fourth (and least known) Piano Concerto (with Leif Ove Andsnes) and Mahler’s Fourth Symphony. Other Russians will be Moussorgsky Night on Bald Mountain in October, sharing a program with Smetana’s Šárka, Janáček’s Taras Bulba which rates as a Russian piece, and Bartók’s Violin Concerto no. 2. Another all-Russian program will be heard in January under the baton of Juanjo Mena: Prokofiev’s “Classical” Symphony No. 1, Tchaikovsky’s Fourth Symphony, and, most interestingly, a Violin Concerto by Moisey Vaynberg (the many variant spellings include Mieczysław Weinberg, whose poignant Sixth Symphony I reported on here) with Gidon Kremer as soloist. As long as I’ve mentioned Bartók, there is one more item from him, and a great one: Bluebeard’s Castle, in concert performance directed by Charles Dutoit (October), who thus continues his predilection for concert opera with the BSO. Andris Nelsons’s Richard Strauss cycle of concert performances — Salome last year, Elektra this year—continues with Der Rosenkavalier on September 29 and October 1 with Renée Fleming as the Marschallin. Perhaps by that time I will learn to appreciate an opera that everybody else all around the world loves so much, but that strikes me as an extravagance even for the BSO. It is hard to imagine an unstaged performance of this beloved work that is so crashingly undramatic and slow-moving—“the illusion of carnival, champagne, and feather-brained levity,” as Joseph Kerman described it. If the BSO wants to mount an extravagance, I would much rather hear Andris Nelsons tackle Schoenberg’s Gurrelieder, which was unforgettably earth-shaking when James Levine conducted it a few years back, with hundreds of empty seats in the hall. One extravagance all of us can look forward to eagerly in March is a real rarity, and an exciting one: the huge five-movement Piano Concerto by Ferruccio Busoni with Kirill Gerstein playing the solo, and a men’s chorus in the final movement. (There are several good recordings of this strange, rarely-heard but mighty work; I especially like the one by our own Marc-André Hamelin.) Sibelius’s Third Symphony opens the program, and that, plus Tapiola in November, seems to be the only Sibelius for the season. There will be a fair abundance of new works, including some premieres and Boston Symphony commissions: in addition to Gubaidulina and several works by Thomas Adès (including his Totentanz which he will conduct in November), there will be new pieces by Julian Anderson, Eric Nathan, Timo Andres, George Benjamin, an organ concerto by Terry Riley called At the Royal Majestic, a Cello Concerto by Matthias Pintscher, and a Trauermarsch by Jörg Widmann. The late Gunther Schuller will be honored with his best-known orchestral work, Seven Studies on Themes of Paul Klee (February). There are a number of usual warhorses, but these include many of the best, indeed pieces that I never tire of hearing: Mendelssohn’s Hebrides and Dvořák’s New World Symphony (November), and Schubert’s “Great” C major Symphony (January; this has been heard several times in Symphony Hall in recent years, but I wrote the book on it); Holst’s The Planets (October, Dutoit), which in all these decades I’ve never heard in live performance. There’s not a lot of French music—we have had quite a bit in recent years in any case — but it is choice. Debussy’s Nocturnes, complete with women, is central on Haitink’s program in March that includes the Haydn 60th and Beethoven Seventh. The following week there will be an entire French program conducted by Alain Altinoglu (French, but is he also Turkish?) featuring Lalo’s Symphonie espagnole and Dutilleux’s Symphony no. 2, “Le Double,” whose world premiere I heard with the BSO 57 years ago, as well as Berlioz’s Carnaval romain and Roussel’s Second Suite from Bacchus et Ariane. The latter probably hasn’t been heard since the Munch days—it was a favorite of his—but it is a honey. Nelsons will conduct Berlioz’s Symphonie fantastique in February along with Ravel’s Le tombeau de Couperin, which may be for the fourth time in five years, but the only Ravel in the coming season. BMInt’s Laura Stanfield Prichard highly recommends a recent paper on the composer, Thinking Irrational: Thomas Adès and new Rhythms as well as BMInt’s review of his opera Powder Your Face, and a funny/serious LATimes story about him last season. The Boston Symphony Orchestra and Andris Nelsons have announced the appointment of English composer/conductor/pianist Thomas Adès as the orchestra’s first-ever Artistic Partner for a three-year period starting in the fall of 2016. As BSO Artistic Partner, Mr. Adès’s rich commitment to the BSO will span a wide range of activities reflecting his many gifts as one of the greatest musical minds of the 21st century; he will become an integral figure at the BSO—both in Symphony Hall and Tanglewood—as composer, conductor, performer, and teacher. This news is being released in conjunction with the 2016-17 BSO season announcement, with complete details available here. 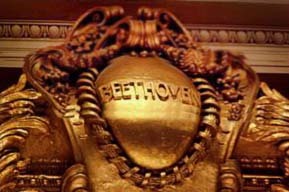 One of the most respected and sought-after composers and performers in the field of classical music, Mr. Adès will assume his new position as the Boston Symphony Orchestra’s Deborah and Philip Edmundson Artistic Partner beginning with the BSO’s 2016-17 season, leading his monumental and critically acclaimed Totentanz, for mezzo-soprano, baritone, and orchestra with soloists Christianne Stotijn and Mark Stone, on a program with Britten’s Sinfonia da Requiem and Sibelius’s Tapiola (11/3-5). In what is sure to be a highlight of the recital offerings in Boston in 2016-17, Mr. Adès will join frequent collaborator, English tenor Ian Bostridge, for a performance of Schubert’s Winterreise, as part of a joint presentation by the Boston Symphony Orchestra and the Celebrity Series of Boston, to take place at Jordan Hall on Friday, October 28. On Sunday, October 30, Mr. Adès will also be featured as pianist with the Boston Symphony Chamber Players in a program of Britten’s Sinfonietta, Schubert’s Trout Quintet, and a work by Mr. Adès. In the 2018-19 season, the BSO will present the highly anticipated world premiere of Mr. Adès’s BSO-commissioned Piano Concerto, with Kirill Gerstein as soloist. In addition to his work with the BSO at Symphony Hall, Mr. Adès will also play a prominent role at Tanglewood, where he will be the Director of the Festival of Contemporary Music in 2018 and 2019. His role at Tanglewood will also include working closely with the Fellows of the Tanglewood Music Center—the BSO’s acclaimed summer music academy—in the roles of teacher, performer, and conductor. Further details on Mr. Adès’s activities at Tanglewood will be available as part of the 2017 Tanglewood season announcement in November 2016. “It is incredibly exciting for me and my beloved BSO that the exceptional Thomas Adès will join us as Artistic Partner and work very closely with us to create fascinating programs for our devoted audiences here in Boston, at Tanglewood, and, through broadcasts and recordings, around the world,” said BSO Music Director Andris Nelsons. 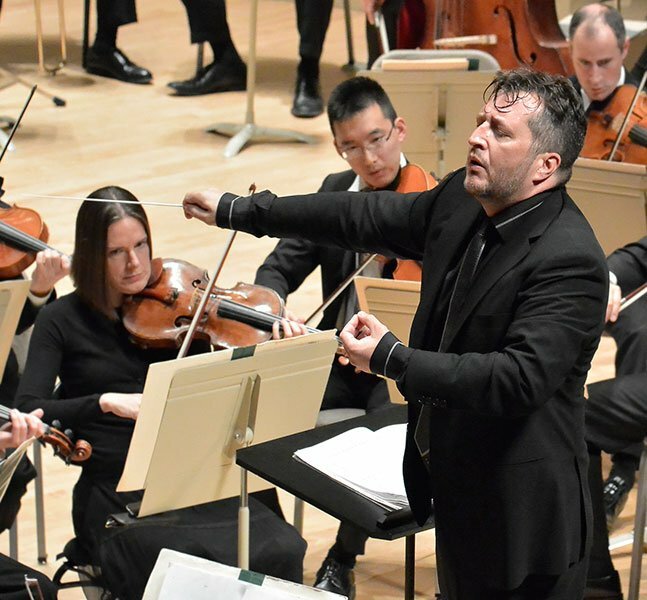 “With the appointment of Thomas Adès as BSO Artistic Partner, all of us at the BSO are filled with a great sense of anticipation over having one of the most brilliant minds of our field involved with the BSO and the Tanglewood Music Center as a conductor, composer, performer, and teacher,” said Managing Director Mark Volpe. Oh no! I’m going to have to subscribe to ALL of the series this year! Alain Altinoglu was born in France, but is actually of ARMENIAN descent, not Turkish. You won’t have to wait much longer for that performance of the Shostakovich 8th by Maestro Nelsons and the BSO – just about 2 weeks. Regarding the early answer to M DeVoto’s plea for Shost 8, one shroud understand that the BSO press season announcement came to BMInt in embargoed form only 24 hours before the intended publication date. That gives very little time for reflection or error checking. Lee is right, and I’m happy to be corrected about the Shostakovich Eighth; in my haste to appraise next season’s schedule I forgot about this year’s, and I will certainly try to hear the performance. The Eighth is a seldom-heard work of great power; as I wrote last year (but forgot this year), not to be missed. No mentioning of Bruckner 6???????? Mr. Nelsons might have read what I wrote. But I think he should have been more brave and included No. 5 in the same season. Can’t believe Rosenkavalier is going to happen. Thought he was going to perform Ariadne first, even though he might have great great difficulty finding a tenor that does not ruin a night. I wonder why Mr. DeVoto seems so evidently proud of his not bothering to attend, or be aware of, BSO concerts over the years. He has lived here and been a part of the musical community for a long time, yet he says “Holst’s The Planets (October, Dutoit), which in all these decades I’ve never heard in live performance.” In recent decades, the BSO has performed this warhorse under William Steinberg (1970, including a fine DG recording); Andrew Davis (Tanglewood, 1977); Seiji Ozawa (1979, including a fine Philips recording); Bernard Haitink (1998); and Robert Spano (2007). There was also a performance and recording under John Williams with the Boston Pops (Tanglewood 1995). It’s not exactly scarce on the BSO’s concert schedule. Even odder is his assertion that “The latter [Roussel’s Second Suite from Bacchus et Ariane] probably hasn’t been heard since the Munch days—it was a favorite of his,” when a quick search of the BSO archives website (http://archives.bso.org) shows that it has been performed since Munch’s death under Alain Lombard (Tanglewood 1970); Seiji Ozawa (1978); John Nelson (Tanglewood 1981); Pascan Verrot (1988); James Conlon (1993); and as recently as 2012 under Stéphane Denève. The “Henry” archive search tool means that there’s little reason to speculate on whether a particular piece “probably” has or hasn’t been heard recently, since it takes only a few moments to find out the facts. I appreciate Mr. DeVoto’s perspective on the history of the BSO, but if he’s going to write about the upcoming season it would be appropriate for him to be aware of its recent past and present too. Symphony Nos. 5, 8, and 9, as well as incidental music to Hamlet will be released in a 2-album set in May 2016; these works will be recorded during the BSO’s 2015-16 season, details of which are available at http://www.bso.org. In summer 2017, a second 2-album set will include Symphony Nos. 6 and 7, and incidental music from the Suite from King Lear. Further details about the May 2016 and summer 2017 releases will be available at a later date.